In 2003 Noah gained worldwide notoriety as he spent two days encased in a block of cheese in a parody of a stunt by illusionist David Blaine. But Noah Kelly countered this with his own endurance test by sealing himself into a giant cube of mature cheddar cheese for 48 hours. 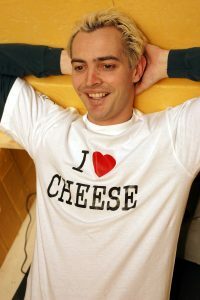 The stunt gained notoriety in the UK, with BBC Radio 1’s Scott Mill’s calling in on ‘Cheese Watch’, whilst overnight broadcasters from around the world called in to chat to Noah from inside his block of cheese. Noah said David Blaine’s version of the stunt was too easy. He came up with his alternative in the bath. Noah’s attempt was a stinking success. 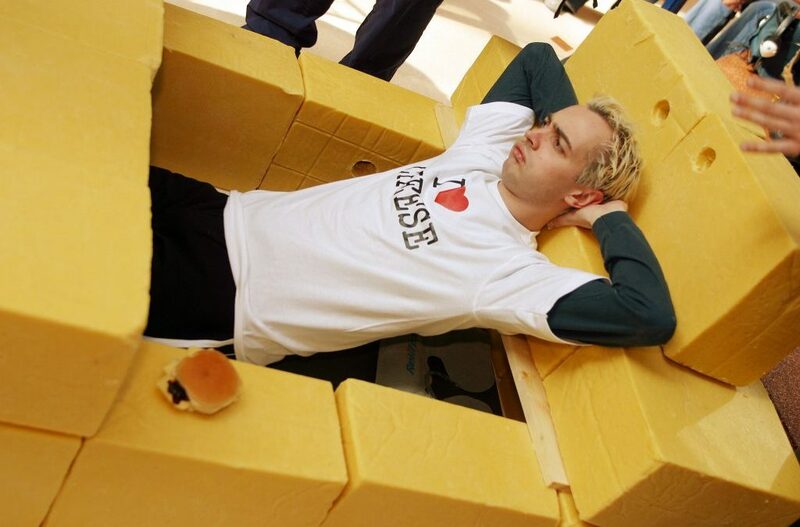 See the BBC’s coverage of him being entombed and finally emerging from the cheese.